The Social Festival returns on Friday 9 and Saturday 10 September 2016 to its new home, The Kent County Showground. 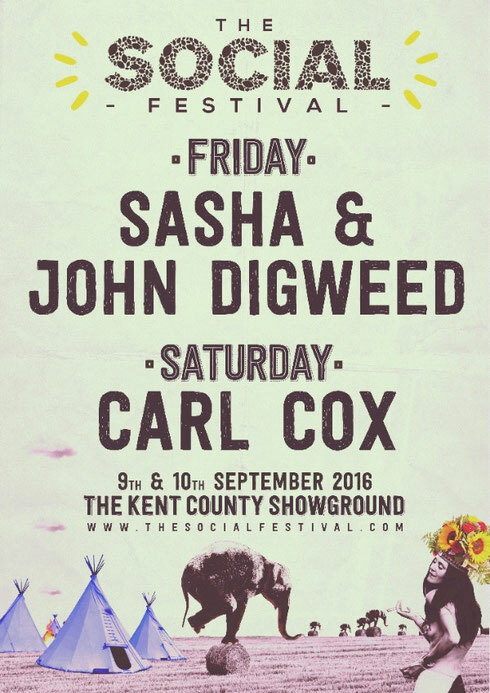 On the Friday, the event will deliver a blast from the past as Sasha and John Digweed go B2B at the festival’s fourth edition, as they headline the Meadow Arena, hosted by Mixmag. Saturday 10 September will see the return of Carl Cox, who will headline The Social Festival for the second time in the Meadow arena. This year is the first time the event has become a two-day festival, and they’ve also introduced a boutique camp site for loyal customers. Look out for more artists being announced at the end of April.